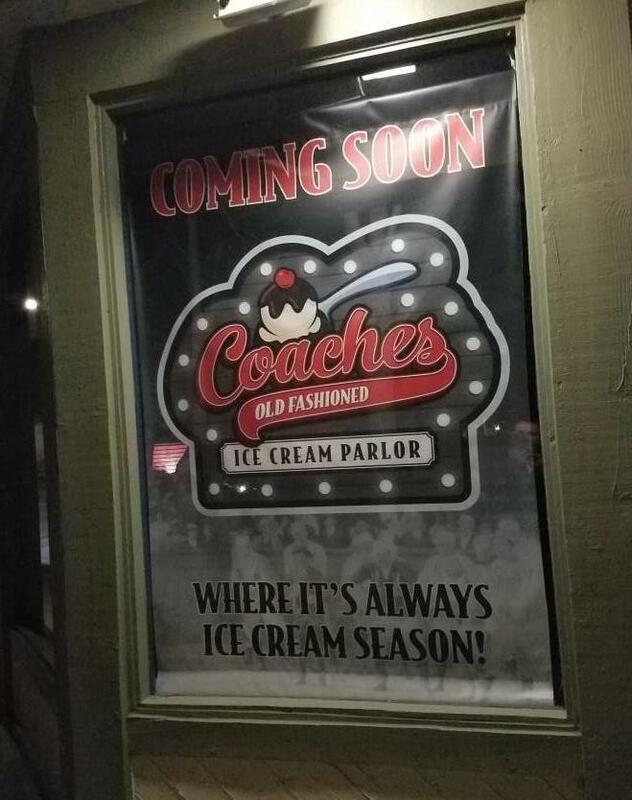 Coaches Old Fashioned Ice Cream Parlor is “coming soon” to the Wendy-Kimber Plaza, 3345 Kimber Drive, Newbury Park. It will be located next to Country Harvest, in the space previously occupied by Bushido Martial Arts, which moved a few suites down. Rumor has it that the owners are the same folks that own Country Harvest. This will undoubtedly be an exciting addition to the neighborhood. No other specifics yet, but updates at www.facebook.com/CoachesNP.